From indulging in some Easter-themed Cantonese steamed buns to singing along to the Gipsy Kings, here are my suggestions of things to do in April. As a self-professed Hufflepuff, any exhibition with magic in the title is bound to be a must-see. 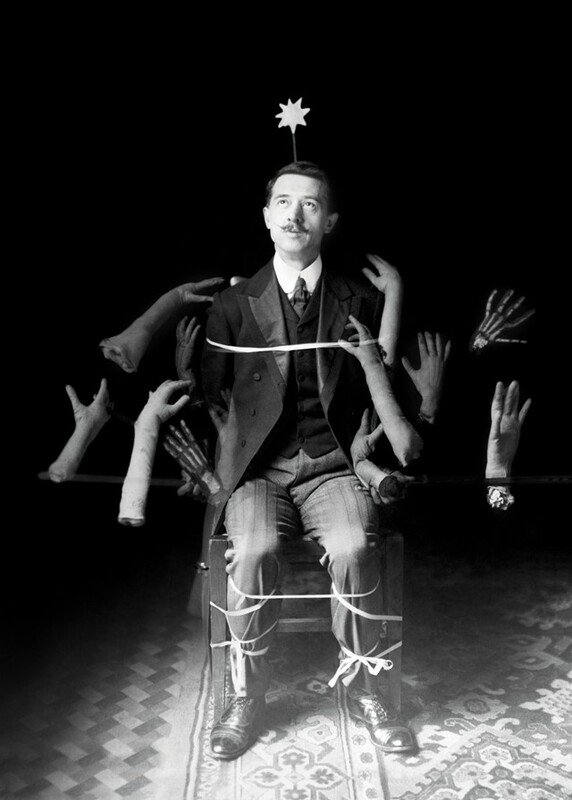 This show explores the psychology of magic, from the 19th-century séance to contemporary mentalists, and why we as humans so want to believe in the supernatural. Presented through magician’s props, photography, film, original stage posters and a wealth of weird and wonderful objects (including a ghost detection kit), Smoke and Mirrors delves deep into the relationship between sorcery and science. 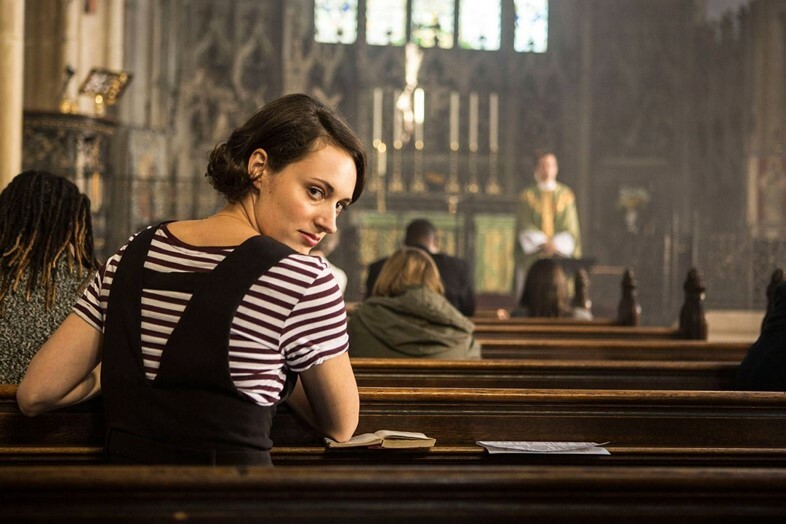 To me, Phoebe Waller-Bridge’s Fleabag contains everything you could possibly want from a television show: guinea pigs, family feuds, and a hot priest, all set against the backdrop of London. I have been devouring the programme’s second series each week; and fortunately just as it ends, Killing Eve, also written by Waller-Bridge, begins. Nights in on the sofa are certainly a priority this month. I am always on the lookout for new places in China Town and Dumplings Legend on Gerrard Street is a firm favourite for late-night visits. But, new to my April roster will be Bun House on Lisle Street. 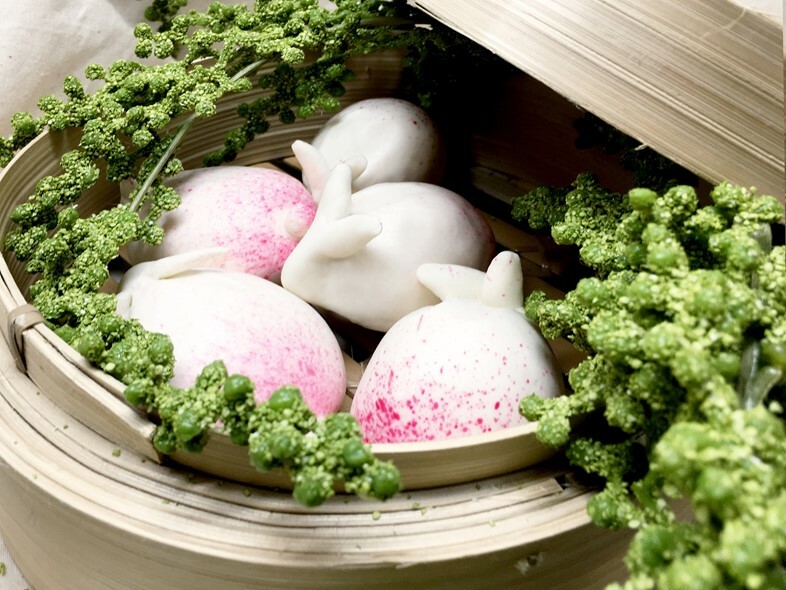 Expect their classic Cantonese steamed buns – sweet and savoury (plus bunny-shaped Easter specials), as well as traditional Hong Kong dai pai dong style food stall food – curried fish balls, cheung fun and more – served via a hatch in the wall. For those hunting for dumplings in East London, don’t miss Clapton’s My Neighbours the Dumplings; it’s not new in town, but still attracts a crowd every weekend – and very deservedly so. Galeries Lafayette Champs-Elysées has arrived in Paris, one of the most impressive store launches the city has seen in some time. 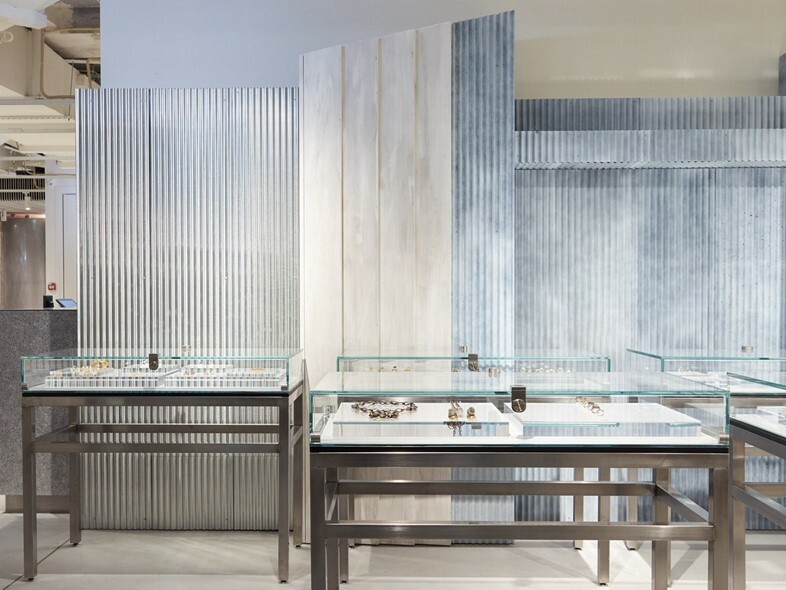 It includes a brilliant array of designer and contemporary brands, a food court and a dedicated fine jewellery space by Dover Street Market, designed by Rei Kawakubo. There will also be delectable offerings from Stohrer (Paris’ oldest patisserie and inventor of the Baba au Rhum) and À la Mère de Famille, plus Jacquemus and Caviar Kaspia’s collaborative restaurant Citron Paris. Also on my shopping list this month is Gucci’s new handbag, the Gucci Zumi, dedicated to the LA-based actress and experimental musician Zumi Rosow. Towards the end of April, a special capsule collection from Ganni lands at Matches Fashion: inspired by the cosmos, the designs feature the brand’s easy dress shapes in hybrid prints of stars and moons, along with its classic leopard print and gingham checks. The music of the Gipsy Kings makes me think of dancing in Arles with a large glass of Bandol rosé in my hand. So, putting on their music is a perfect way to stave off April showers, and transport myself to the South of France (if only in spirit). The band have been on the road touring since 1987, and now come to the Royal Albert Hall this month. With a blend of traditional flamenco and Latin and Western influences, Bamboléo is surely one of the most joyous songs to sing along to with friends. On April 10 at synchronised times across the world, the Event Horizon Telescope project will unveil years of its collected research into black holes. 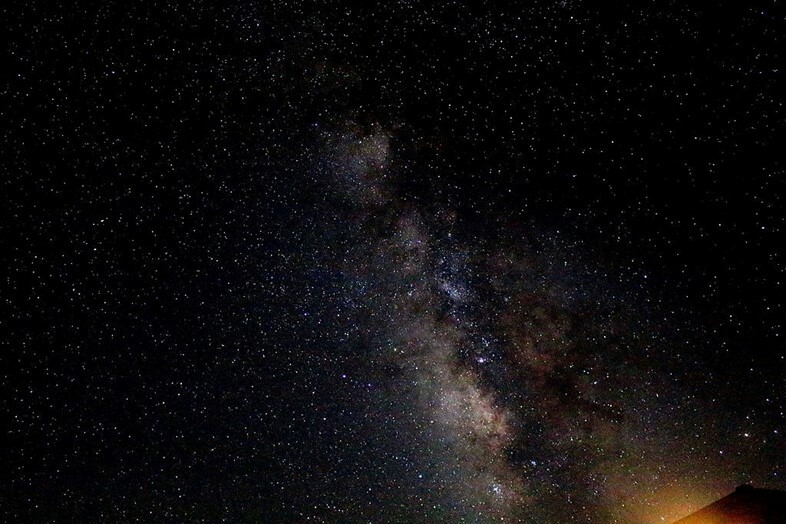 Scientists have been trying to document Sagittarius A* (the supermassive black hole that is believed to exist in the middle of The Milky Way) for years. Now, we hope to see the first scientific proof that they exist in our universe, and for the first time in history, a photograph of the edge of a black hole. A huge scientific breakthrough well worth reading about.